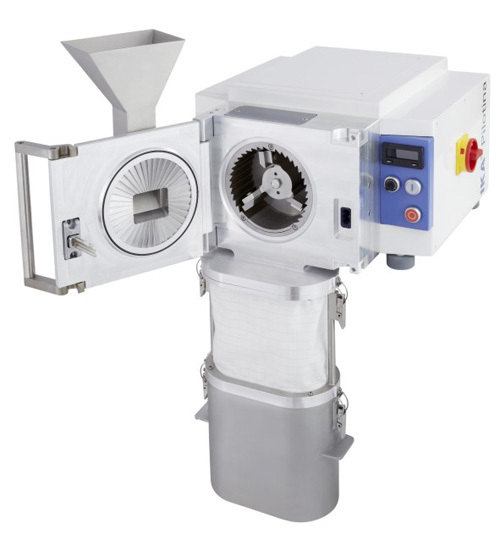 The dry mill IKA Pilotina MC is the ideal choice for disintegration of smooth, sticky, elastic or fibrous materials such as parts of plants, plastics, food pellets and many more. The design guarantees an excellent milling quality, a precisely defined final fineness, as well as an easy and quick cleaning. The powerful 1.5 kW drive makes the Pilotina MC the ideal pilot plant machine. 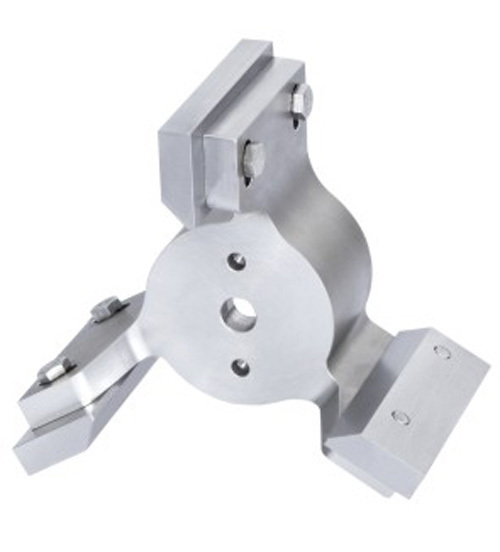 The counter bearing that is conically borne in the milling chamber door supports the rotor and thus enables a precise cutting quality, even under high load. 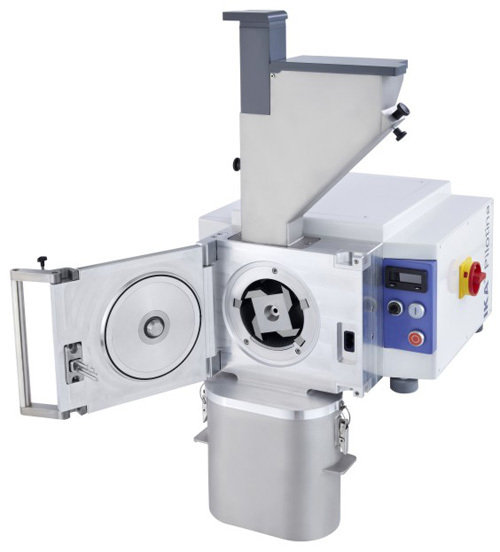 The dry mill IKA Pilotina MI is the ideal choice for disintegration of hard and brittle materials e.g. coal, glass, ore or seeds. The product is disintegrated quickly due to the geometry of the milling space and the fast rotating impact rotor. The final fineness can be precisely adjusted via the sieve that is inserted in the milling chamber. High-quality surfaces make cleaning easier after milling. The IKA Pilotina MU is the ideal combination of MC and MI. 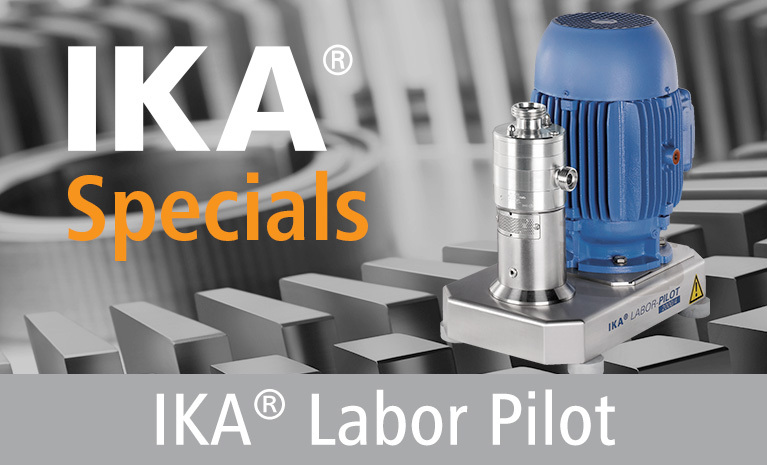 If you have a wide variety of milling tasks and therefore need cutting as well as an impact mill, the IKA Pilotina MU will be the best choice. 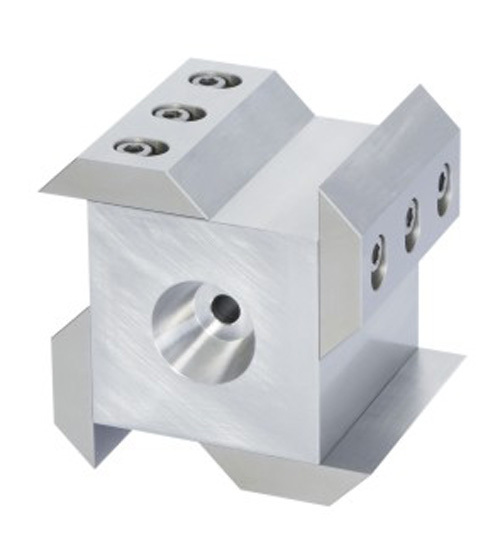 The modular design allows an easy modification from impact to cutting mill and vice versa within shortest time. Your advantage: one machine, two milling principles, all this without making any compromise regarding disintegration quality. Due to the powerful, frequency controlled 3 kW drive with digital indication the circumferential speed of the tool can be adjusted to the required milling process in an optimum way.